1. take freshly washed strawberries and cut off the stems. 2. slice the strawberries into 1/4" pieces. lay them on the dehydrator trays. 3. sprinkle lightly with black pepper. 5. when the strawberries are nice and dehydrated, let them cool down. then remove and put into bags or eat! 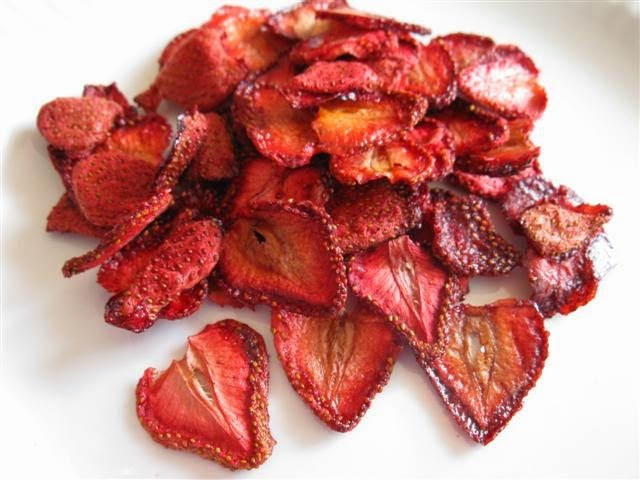 I hope you like this Dried Strawberry Chips recipe, because it's so healthy and tasty in the same time.